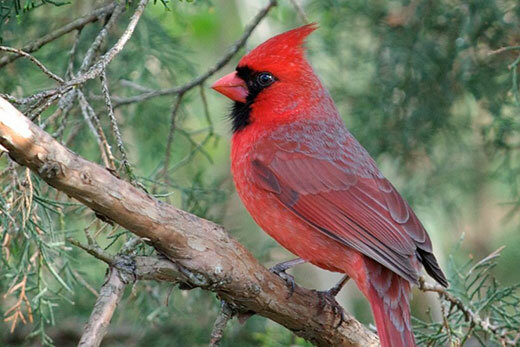 One more reason to love the northern cardinal: In addition to being beautiful to look at, in Atlanta these birds appear to help shield humans from West Nile virus. Photo by Stephen Wolfe. Northern cardinals act as “super suppressors” of West Nile virus in Atlanta, slowing transmission and reducing the incidence of human cases of the mosquito-borne pathogen, suggests a new study published in the American Journal of Tropical Medicine and Hygiene. The researchers also found that birds in Atlanta’s old-growth forests had much lower rates of West Nile virus infection compared to birds tested in the city’s secondary forests and other urban micro-habitats. Levine has since graduated from Emory and now works as an epidemiologist and entomologist for the Centers for Disease Control and Prevention. Uriel Kitron, chair of Emory’s Department of Environmental Sciences and an expert in mosquito-borne pathogens, is senior author of the paper.